The Body Shop's Buy 3 Get 3 Free offer is back! 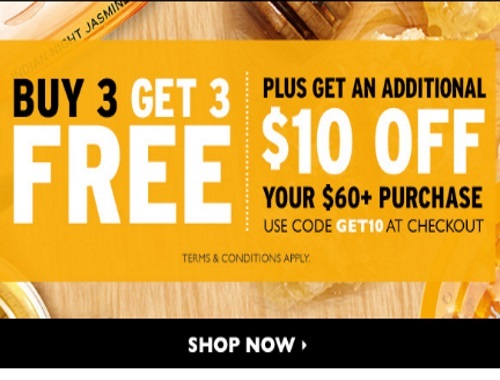 When you buy 3 items you can get another 3 free! Plus save an additional $10 off your $60+ purchase with the promo code GET10 at checkout. Offer is valid September 28-29, 2016. Free shipping applies on order of $75 or $5 with $50 purchase.